Wow, what an honor to moderate and lead The SUP46 Femtech event together with Andriana Pateraki. 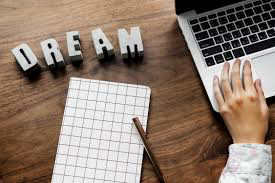 The FemTech team’s intention and wish is to inspire and empower more women to dare to start their own tech companies and take leadership roles in the tech space. We also want to share the issues we face in this day and age. Finally, we want to show you what is possible through inspiring interviews (real and raw conversations) with powerful female leaders to share their stories of success, learnings, and struggles. Women we can all celebrate especially today on international women’s day. Empowering female entrepreneurs and leaders is a topic that is very close to my heart. As a female founder and leader in the tech space, I have experience being treated differently because I am a woman. Fortune Magazine had a recent article reporting that only 2% of VC money goes to female founders and that 70% of employees still want to have a male leader instead of a female leader. A wealth of research shows that female leaders (much more than their male counterparts) have different expectations in the workplace. It is a catch-22 and double bind for female leaders. We need to change this. Social norms, when it comes to women are historically unsupportive as a whole. They are established and reinforced by the belief that most other people engage in behavior that is consistent with the norm and the belief that other people think of this behavior as right or acceptable. It is a challenge for all of us to break social norms because as humans, we want to belong, be seen, heard, and respected in the groups we are part of a workplace, school, community etc. To risk going against the grain takes vision and courage. I believe that we have a responsibility to transform social norms to support female entrepreneurs and female leaders. This means we need to come together to be ¨Agents of Change.” To change social norms, we need to take an active role to speak up and be heard, and point out when other women are treated unfairly in the workplace, schools, communities, management groups, boardrooms, etc. This means as female leaders we get to stand in our power and own our voice. Challenging and transforming social norms means we get to be bold and outrageous. As leaders, we get to take every opportunity we have to lift up, empower, and inspire other women to take risks, be bold, think big, ask for support, and take action to realize their dreams and cause the impact they came here to create. The panel spoke about what leadership is to them, how they go up against social norms as well as the future of female leadership and entrepreneurship. I’m still lit up with energy from the inspiring stories, learnings, and presentations from our powerful panel and startup leaders! First on stage was Pernilla Ekman, one of the Nordic Tech scene’s biggest role models who is also a very dear friend of mine. She and her team have been on amazing journey building Zound Industries. She started out as the company’s CFO and the last 5 years, she has been the company’s CEO. She has lead Zound Industries through some very rough waters. In the interview, she spoke about the importance of preparing her team to face hard facts and to recover fast when things get challenging, and to always have a plan B. I loved her advice about how to handle unfair treatments she experienced firsthand and towards other women in her company. She shared the importance of addressing the white elephant in the room (mistreatment of women) right away, going to the source as opposed to gossip which creates a toxic environment. Our next fantastic speaker on stage was Lisa Thoren. Lisa is a successful entrepreneur who was born into a family who created the legendary Baby Björn company. Baby Bjorn redefined the baby product industry. Lisa began her career with the family business as the company first communication manager. 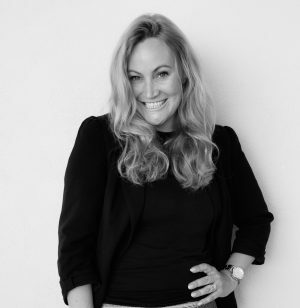 She helped lead the company from $2M (when coming onboard) to $32M, Today, Baby Björn turnover is around $70M annually and is owned to 60% by women. When sharing about her marketing journey and building its revolutionary brand, her job was to tell the world about the company’s purpose and its mission. They did a lot of things right when it comes to building a successful consumer brand. First, they had a strong company purpose and their story authentically connected with their consumers. They also created a customer-centric business with a quality product. One of the biggest moments in the interview was when Lisa spoke directly to the audience and told them “never forget your purpose and who you are serving when you build your companies.” Today, Lisa is building her next company Performance Sk8, which is changing the game in the booming Skateboarding industry. 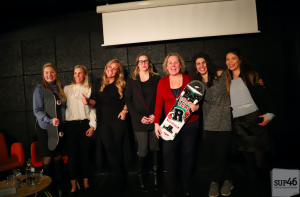 I want to thank you Pernilla Ekman and Lisa Thorén for inspiring us and showing us on what is possible and also a big thank you to Rebecca Bengtsson from Zmartbag, Lena Wijkström from Friendtivity and Gina Adamova from Figuratic for your great pitches. It was so inspiring to listen to your vision and plans for your products. Last but not least, a big thank you to my amazing sidekick, Andriana Pateraki. The next FemTech event will be in May 2019! I’m so excited for our next event that will focus on building B2B companies. We will soon reveal who the amazing female leaders and entrepreneurs we will have on stage. Cheers to inspiring and empowering women all over the world who are challenging and changing social norms daily! Thank you 2018 for all the tough lessons. This year made me stronger and wiser. 2018 was by far my most challenging year to date, and also the year that I have grown the most. Trice started this year with a mega crash. Literally, on New Years Eve morning, we were given cards that would set the tone for the year. The first quarter we solely focused on cleaning up. At the same time, my personal life was giving me many heartaches. My mom had a very rough time with her COPD chronic obstructive pulmonary disease, my youngest son Ivar was diagnosed with Keratoconus a corneal disease that can make you blind and he needed eye surgery, and by the end of this quarter, my brother came home with severe stomach pains. I know he can handle severe pain after his year as a professional Judo athlete, and also know that when he tells you he is in pain it’s probably a 9 or 10 on the pain scale! The first MRI indicated a tumor as big as an orange on the wall of his stomach close to the adrenal glands. I still remember the echo in my head, 2018 had just begun and I found myself saying, “stop it, I have had enough”… I don’t think I could handle more challenges and I doubted that I could continue to show up and be strong as there were days I just want to crawl up in my bed a put a big blanket over my head and pretend everything was good. With all the adversity, we persevered. We got up, we worked through all our bigger issues, we cleaned house, we didn’t avoid the tough conversations, we stood up against fears, and frustration, we choose courage over comfort and we were brave. This is in thanks to many great people around Trice. Considering the rough start, we ended up on top for the first year in our companies history we achieved OP (operating profit) every quarter. I want to give a big thank you to my Co-founder Åsa Nordgren and Martin Westin, and my closest colleagues Bernd Nuber, Sven Haynie and Dagi Nuber, and our board members Masood Jabbar, Don Jones and Bo Hedfors for riding out this storm with us. 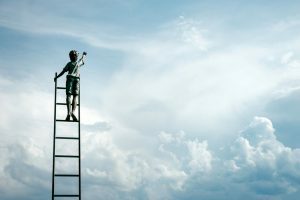 I ended this year writing an article about my scaling learnings Moving Through The Teenage Years In Business. 2018 also brought on opportunities for me that would elevate the trajectory of my impact. One of the most rewarding and enjoyable things upon moving back to Sweden is the work I get to do with Sting Innovation, Almi Green Tech Fund, and Fatfish global venture. I am grateful to be on the Jury every 6 months to select the 8 most promising tech startups in Stockholm. 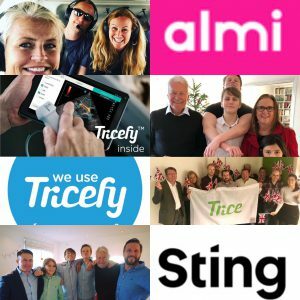 These startups that are privileged to be part of Sting accelerator program which provides an exclusive package of 300 000 SEK in funding, tailored coaching, support with financing, recruitment, and access to Sting’s network. It’s very inspiring to listen to every team pitch about their vision and dream for their product. Their energy and dreams are truly contagious. Thank you Pär Hedberg, Fredrik Rosengren, Ivar Strömberg, Boel Swartling, Anna Ljungbergh, Sara Bjelkstam, Henna Keränen, and Simon Josefsson it’s been exciting to be part of this jury. Almi Green Tech Fund is a SEK 650 M fundraised to invest in technologies that can help us save our planet. The fund will invest in 50 companies until 2023 with the focus on technologies and services that have a CO2-reducing effect like renewable energy, recycling systems, energy, waste management, and combustion. I am grateful to be part of this investing committee, one of the most important tasks I have taken on this year. The last 3 years my anxiety about the environment has increased with 50 % every year and the last year it went through the roof. United Nation said this year we only have 12 more years to limit climate catastrophe on our planet and the only we can get there is through new innovative technologies, regulations, and creating mass awareness for us all to do something about this today and not tomorrow. So far, we have invested in 5 companies, Corpower Ocean, C-Green Technologies, Epishine, Altered and Maven Wireless. I’m looking forward to following their progress to help us take better care of our beautiful planet. Thank you Markus Hökfelt, Mikael Karlsson, Per Olofsson, Linda Krondahl, Boris Gyllenhamn, Karin Ebbinghaus, Lisa Westin it’s been a true honor to be part of this important investment committee and I’m really looking forward to our next meeting next year. My last but my most important thank you goes to my beautiful family. Thank you for supporting and loving me unconditionally. I am thankful that Ivar’s surgery went well, my brother’s tumor was not cancerous, and that my mom is doing better. Finally, I want to acknowledge and praise my dad, Kent Hult, an amazing and very successful entrepreneur. He always told me when he said “no” to multiple things I asked him for, that if I ever really needed his urgent help he would be there. I truly hoped that day would never come, but it did, and he showed up like he promised big time. Thank you, dad, for helping us! Thank you 2018 for all the great lessons and the failures that were even greater lessons. I learned so much about myself, what I am capable of, and who I want to be. My wish for 2019 is fewer hurdles and more laughter and at the same time, I’m ready for everything you will bring! During the fall of 2016, we started seeing real growth and we were excited to be over the hump. Hitting product/market fit meant that we had built something of value. We had it. People were buying it. They were loving it. And now, our job was to scale it. At first thought it was “easy peasy”, and looking back, scaling is by far the hardest thing we have done to date. Scaling is not a simple task, but a very interesting challenge. How do you scale and maintain operational excellence when it comes to product quality, great customer service, team spirit, onboarding new customers, new innovative features, and launching in new countries when you have an annual growth rate around 100% and launching your product in 15 new countries per year? We would soon find out the hard way. Scaling a global product and company is like being a teenager with popping hormones and growing pains in your entire body. Below, I have listed some of our biggest challenges and learnings so far, and while still scaling, we are constantly learning new ways to improve and tackle the daily challenges and growing pains. It’s a big victory when a startup signs a global agreement with a Fortune 500 company. Please celebrate it big time like the king and queen you are. You earned it, and also know, this signed global agreement is only a license to hunt. Now, the hard work begins, and now, it’s time to make this partnership a success for both parties. There are several steps that come next. You need to co-create an implementation plan and establish common procedures and routines to continuously improve the following processes, commission structure, product training, roadmap, and business model. The most important step, however, is to be able to handle internal resistance and politics. Do not underestimate the power of internal resistance. Your partners need to have strong leaders on the inside that can guide and eliminate fears and resistance, especially when you have a technology that could feel like a threat to their existing business. It is essential to be transparent and has open communication so you can tackle the problems together and create a business that will make both companies successfully build and scale. Building a product that people loved was hard, there’s no doubt about that. It took us a long time, and a lot of money, and we had a number of setbacks and near-death experiences along the way. All of a sudden we had thousands of users and millions of transactions using our platform. With more and more customers onboarding our platform, Tricefy bugs and incompatibilities are being found all the time. When this happens, we are not able to move as quickly or as aggressively as we would like to. More bugs mean less time for our team to develop and improve Tricefy, and it keeps us from tackling our product roadmap. My important lesson in this phase is to not let growth come at the cost of your existing customers’ experience, and make sure to invest in innovation that ensures long-term customer growth. It has been hard for us to stay innovative, launch new features, and pivot outgrown and inefficient processes like finance, HR, customer support and sales. I think it is a very common problem for companies that are scaling fast. It is very easy and natural for the entire organization’s focus to be on taking care of the existing and new customer needs, and making sure new countries, partners, and teams know the existing product and processes. At least this been our case. I think it is important for the management team to really think through this challenge and make sure they have a strategy in place in advance to ensure they get clear on how to handle improvements in every process and every department in the organization. My two biggest learnings here are, don’t build organizations silos per continent or country, and try to eliminate as many repetitive tasks from your team as possible. Both problems slow down your growth. With silos, fractions, and different processes create 100 different ways on how to perform different tasks like onboarding customers, support, sales etc. Systems are a lot easier to scale quickly than humans, so be sure to automate every step you can. Next year we will definitely focus more on these topics since it is also proven by many studies. Do not make the same mistake we did by assuming if it works in America in the ultrasound segment, it will work in any imaging segment and any country. This is not true. People say entrepreneurs are so naive. I don’t necessarily think this is a bad thing. Before you launch big time in a new market, you will need to adjust workflows, communication, and a pricing strategy on that specific market. A key component for us has been to have very flexible features, meaning we have multiple ways for our customers to share data, store data, access data, and create reports so we can adopt the service for every customer and for each country’s need. The absolute biggest challenge we have faced during this phase is building a strong team, spirit, and culture. It is very challenging when you have business in many countries. There are additional complexities with different cultures, languages, and with only meeting face to face once a year, effective, clear, and direct communication is critical. It can be easy to misunderstand each other in texts, emails, and phone conferences. Scaling in this environment is where fractions and subcultures are born and often lead to fractions between groups and people. This is challenging, an ongoing learning process for any leader and organization, but I think it’s extra challenging when your team is spread out all over the globe and come from different cultures. How do you keep the team inspired, motivated, dedicated, and respectful to each other? Of all the challenges we had so far, this is the most interesting to me. My last tip on this topic, and my most important criteria is that is when you are hiring a new person on your team, make sure the person has the right mindset and core values that align with your company vision and culture as knowledge and experience are much easier to learn than to change a person mindset or core values. When you grow fast you need people that can analyze the issues from many angles, and see each other’s perspectives and intentions. You don’t want people on your team that are judgmental, think they know it all and always needs to be right. You want people that can give others the benefit of the doubt and extend generous thoughts and feedback. As I look back at what we’ve battled, learned, and overcome over the past 30 months, and every battle yet to be fought, one thing is clear to me: scaling is, without a doubt, the hardest part of building a business so far. But after all of this years and especially this year together with my co-founder Åsa, Martin, and our great team, I’m 100% sure we will overcome any battles and hurdles the world will throw at us. Perseverance has become our middle name and we are getting closer and closer to our bold dream to become embedded in every new imaging device so we can make sure to provide quality of care for people everywhere. What most of us don’t realize is that creating a product that is loved by your customers is as important as selling it to generate revenues. The key to the ultimate success of any business is knowing your customer and providing catered solutions that fix their problems. I learned many things over the years building Tricefy and coaching other software and hardware companies how to create a stand-out product. Create a user-friendly and visually appealing product. If you are selling online, your interface should also follow the same norms. Try to simplify every workflow!! Eliminate steps by taking away features rather than adding new ones. To make the training and adaptation of the system easier, steal with proud features/behaviors/workflows from modern consumer product like Google Drive, Facebook, etc. Innovation is not instant. It takes lots of lead bullets to make a silver bullet. Don’t chase brilliant one-offs when seeking innovation. It’s best to be very open-minded when launching a product so that you can build in customer feedback and adapt and learn from your user’s behavior. Provide a wow element with the design, usability or business model and keep on providing wow element with every new big feature or product your company launches. It very important when you launching a new product that you simplify the market message, you literally have 2 seconds to get the customer to understand your product, so present very easy use cases. Don’t forget that the user buys the feeling you provide them with. So create visual stories and marketing that attract your target customers and leave them feeling good about their choice. 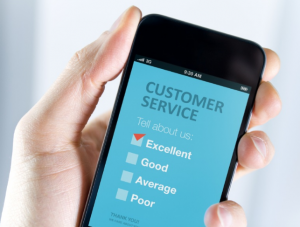 Engage with your customers and ask them what the need and what they think. Monitor your customer’s digital behavior and learns what works and not works. Be fast, flexible and ready to adapt to the market needs. Give back and contribute to social causes. The first year is about convincing people to believe in your dream. Then you need to be a good salesperson, storyteller, and a pitch master to convince investors, potential customers, and partners to believe in your vision and to test your product. You will need to show your customer and partners how your product will make a difference, solve their problems, and how it will provide cost savings and workflow efficiencies. Be prepared to integrate and adopt the business model and product thousands of times until you have the perfect recipe. Then, make sure you buckle up and are fit to come up against strong resistance because building a new company comes with many growing pains that can either inspire you or take you down. We have had many moments that have knocked us down. While we can laugh about it now, the grit through tough situations is what shaped us to be stronger, faster, smarter, efficient, and more humble. I will share one of our first resistance stories. In 2009, we went to one of the bigger radiology trade shows in Europe, with the intention to inspire our dream partner (GE, Philips, Samsung, and Sonosite) to try out our technology and become our partner. We were talking to a lot of people at one of the biggest vendors in our industry, and one of them introduced us to the right director at this vendor. We very so excited to receive a couple of minutes with the person who had the power to take Trice to the next level. We did our pitch about replacing printing and faxing with sending digital images directly to phone or email and how it could revolutionize his industry. He looked at us, bent his head to the right, and his placed his hand on my partner’s shoulder and said, “Girls, that’s never, ever going to happen” and smiled. My business partner Åsa bent her head to the left and stared into his eyes and said, “That’s what Sony Music’s CEO said 6 years ago about iTunes and Napster. Two years later, he lost 50% of his revenue.” He just said, “I don’t think so,” and walked away. Here is the opportunity for you to decide how you want to respond, and how you respond at this moment will decide your company’s future. Not everyone will believe in you/your product and a meeting could either take you down or fuel you to prove him (them) wrong. We looked at each other and said, “We are going to prove him wrong.” But the lesson is: If you are early in a paradigm shift or if people don’t understand your product innovation or case studies, you will often receive reactions like this one. People will ignore you, they will laugh at you, they will fight the change you’re bringing. Leading is bleeding, but don’t ever lose your faith in your product, ignore the people that are laughing and throwing stones at you are not everyone. To build a power team and a support system is key. Put yourself around the people that believe in you, your product, and be sure to create strategies for how you and your team can convince the world, potential customers, and potential partners that this product (your product) is a must-have! The founding team needs to agree on what the companies higher purpose and dream is. Identify: Why are you building this company/product? 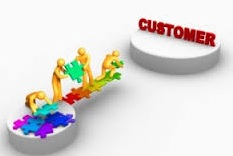 What role do you want your company to play in the world, in your industry and your customers and partners life? Trice Imaging ’s higher purpose is Quality of care for people every at any time. Establish your company vision and strategy and stick to it. With Trice, we have always been clear on our vision and strategy. This doesn’t mean we knew the quickest way or the best route to get there but our vision and strategy to build a game change product in the healthcare space have always been the same. With the many bumps, we have adopted, reinvented, and stayed in action to move forward towards our vision and strategy. Everyday. The journey is defined by people so make sure you have a diversely skilled team with the right core values whom you can trust and run with. Fight through the repetition and boredom – and keeping on with the task – through the thick and thin. Failure is indeed the greatest teacher. So, fail fast, and learn what you need to fix, and fix as fast a possible when it comes to the product, business model, communication, culture, etc. Make sure you have a good founders agreement in place before you marry your co-founder. Have a framework/playbook and clear communication/resolution for how to handle conflicts and trust issues and how you should divorce. The number one reason why startups fail today is the team. My personal tip when the conflicts arise because they will is to take a big deep breath, calm yourself down, then lead with compassion, love, and, forgiveness, and openness when you act.